The corrugated cottage was originally used as my office and sculptor’s studio. When I was repairing the floor in what is now the bedroom, I found some newspapers under there as insulation. I was surprised to find they were dated June, 1940! 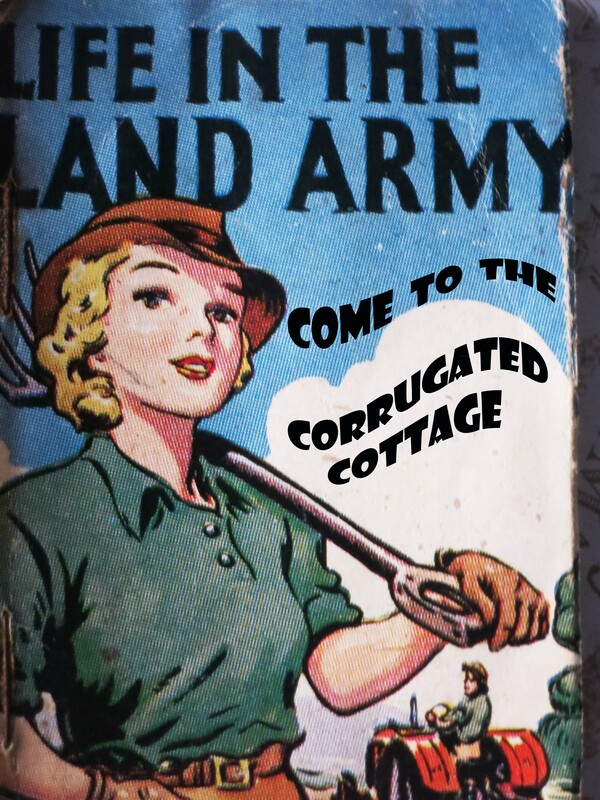 Curious, I spoke to a friend; the local historian, who mentioned the possibility that land girls were billeted in the cottage (probably temporary/prefab) during the war. I previously worked in the conservation of old buildings and had just finished restoring a medieval house in France in a small town called Bellac, see http://www.bellac.co.uk, which has some unusual features. I was looking for something new to do, so was eager to start this new project! I wanted to do something more original than just a holiday let, so I decided to recreate the cottage like an art installation in the style of the times. The house includes an Anderson shelter in the garden. The Anderson shelter was a bomb shelter named after Sir John Anderson and used during the Second World War. Safe from the threat of the Nazi Luftwaffe, children can now make it their den!